The original Sill Shield™ window sill protector is a quick and easy way to guard your window sills from your pet's paws. Each Sill Shield™ comes with special Dual-Lock mounting coins for tool-free installation in under a minute. My Standard Size Sill Shield™ is available in sizes to fit most common window sills: 23 1/2 inches long, 29 1/2 inches long, and 35 1/2 inches long, and with a depth of 2 1/4 inches, 3 1/4 inches, and 5 1/4 inches. Have a unique window sill measurement? 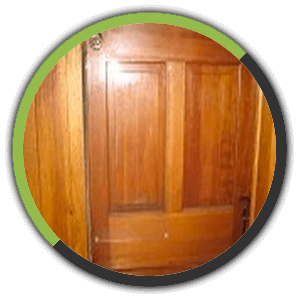 I can make you a Custom Size Sill Shield™! 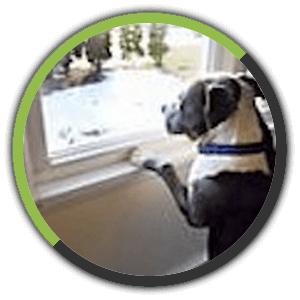 Your window sills are protected from your dog's claws, but how about your door? My Door Shield is rugged enough to handle even the biggest dog, without any claw marks! 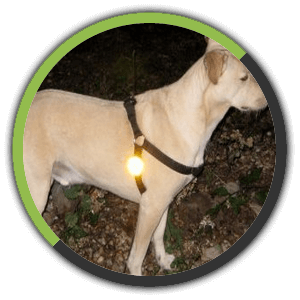 My weather proof, shatter proof 2-sided Leash Reflectors catch light from various angles, which greatly increases your chances of being seen at night.